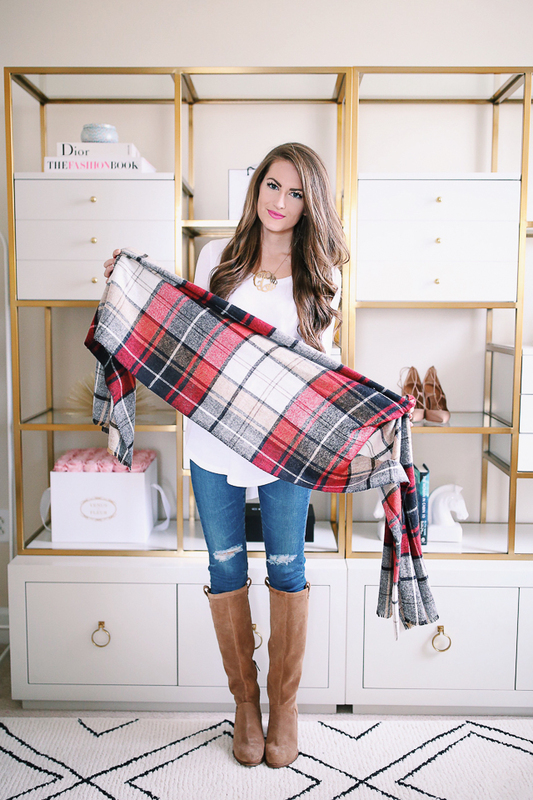 FYI, a "blanket scarf" is different from other types of scarves. They are square, and often very large, just like a blanket! They're my favorite type of scarf because they're INCREDIBLY cozy. 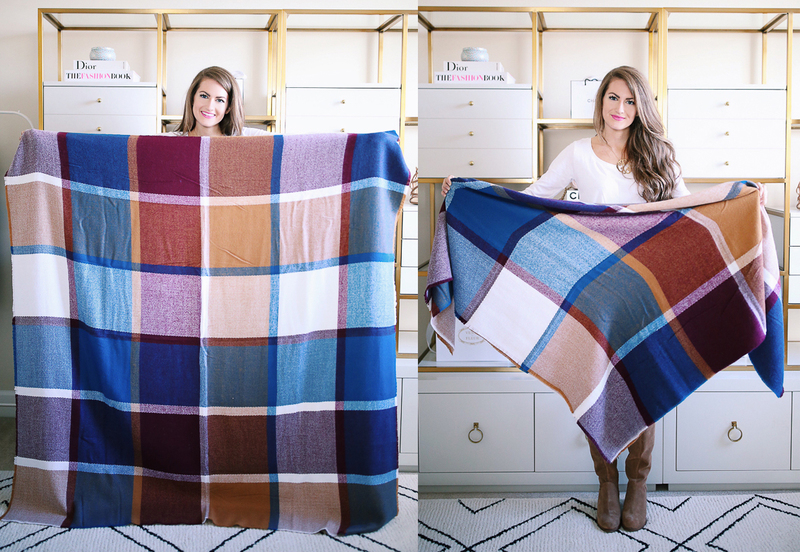 Just imagine wrapping yourself up in your softest blanket and wearing it all day! Step One: You want to unfold the scarf completely (you may have to lay it out on the floor) and then fold opposite ends together so that it creates a triangle (above, right). Step Two: Keeping the point of the triangle angled downwards, you want to grab opposite ends of the scarf and wrap around your neck (below). You will have to pull the ends tight to get it where you want it. Step Four: Tuck the ends of the scarf underneath the pointed end of the triangle. This is where I have to play with it a lot to get it how I want it! 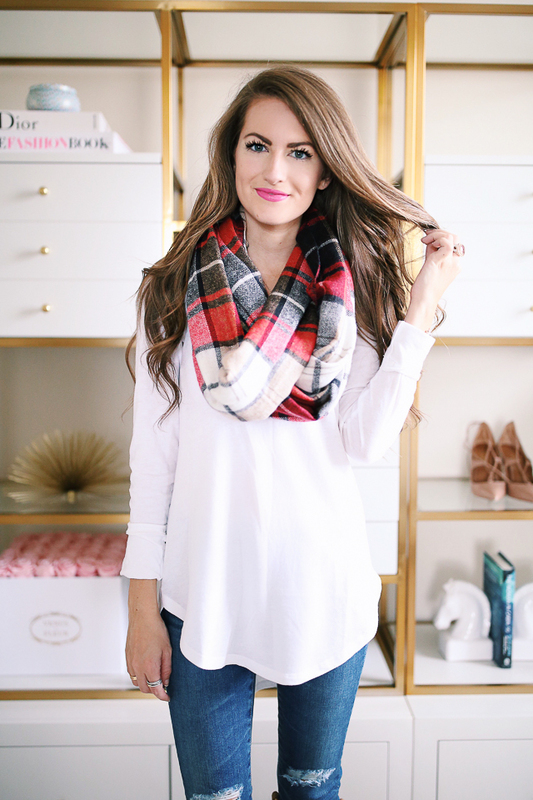 If it doesn't look right, just tug on areas all around the scarf until it looks good. It's supposed to be big! 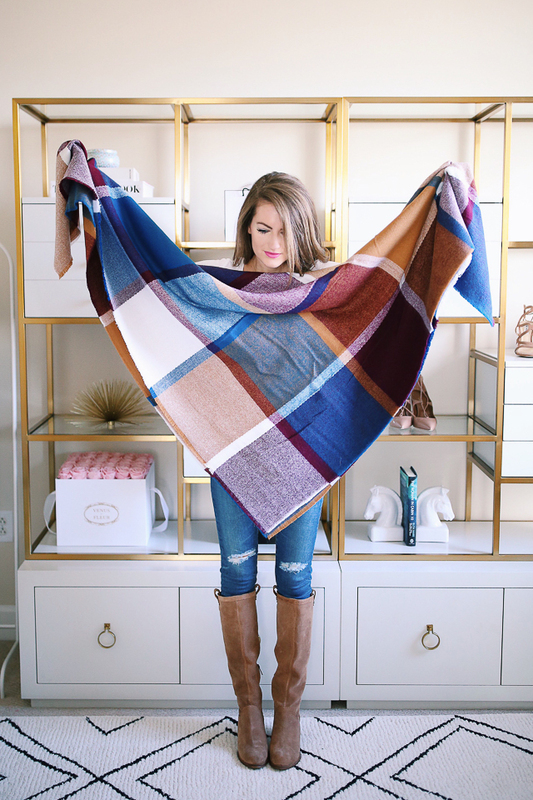 You have a perfectly tied blanket scarf.